In the past, there’s been several posts here on the site about how to practically implement a low carbohydrate diet. For example, a few months ago, I released the podcast: Is It Possible To Be Extremely Active and Eat A Low Carbohydrate Diet? (which incidentally, I’ll be revisiting very soon in an upcoming podcast with Peter Attia). And a few days ago, Tim Olsen, the winner of the brutal Western States 100 Mile Run revealed he is a low carb athlete. 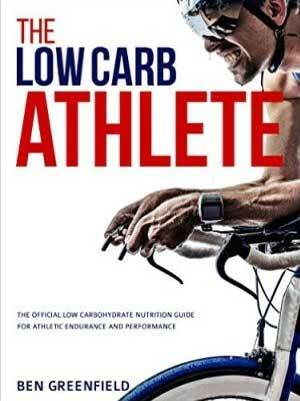 But the reality is that it can be very, very difficult and uncomfortable to switch to a low carbohydrate or “ketogenic” diet if you don’t have the help of a few supplements – especially if you’re serious about performance in sports like triathlon, Crossfit, marathoning and other high-energy depleting events. So in this article, I’m going to tell you about 7 supplements that help you perform better on a low carbohydrate diet, along with a couple footnotes at the end of the article that I think you’ll find very interesting. When you shift to a low carbohydrate or a ketogenic diet, your body loses storage carbohydrate, and also begins excreting sodium and water. When this happens, your blood pressure quickly drops, and much of the low energy that is attributed to “low blood sugar” when eating low carbohydrates is actually due to this low blood pressure. Because of this, if you experience feelings of lightheadedness or sluggishness (especially during your workouts) you should include extra sodium in your diet. One strategy is to get 1-2g of extra sodium during the day by using vegetable or chicken bouillon cubes. I personally do fine by simply using 2-3 effervescent electrolyte tablets each day (I use the brand “nuun All-Day“) combined with liberal use of sea salt on my meals. You’ll need to especially be sure to include extra sodium (close to 1g is good) about 30 minutes prior to your workout. But if you already get 3-4g of sodium per day in your diet, this is probably a moot point for you. Caveat: the extra sodium is not because Tim Noakes was wrong in my interview with him. You don’t need extra electrolytes during your workout to keep your muscles from cramping. This is simply extra sodium to help you maintain adequate blood plasma volume and blood pressure. 2. Branched Chain Amino Acids. In the episode “Do Amino Acids Really Help You Exercise Or Are Nutrition Supplement Companies Just Pulling A Fast One On You“, you learned about Branched Chain Amino Acids (BCAA’s). The BCAAs are unique from other amino acids because the enzymes responsible for their degradation are low in your tissues, so they appear rapidly in the blood stream, and expose your muscle to high concentrations – ultimately staving off muscle breakdown and stimulating muscle synthesis – even during exercise. BCAA supplementation after exercise has been shown to cause faster recovery of muscle strength, and even more interestingly, the ability to slow down muscle breakdown – even during intense training and “overreaching” (getting very close to overtraining). When you supplement with BCAA’s, they can decrease the blood indicators of muscle tissue damage after long periods of exercise, thus indicating reduced muscle damage, and they also help maintain higher blood levels of amino acids, which can make you feel happy even when you’re suffering during exercise. But most importantly, if you’re on a low carbohydrate diet, when taken prior to a fasted exercise session, BCAA’s could improve your fat oxidation and utilization of storage fatty acids as a fuel. Dosage for BCAA’s would be leucine, isoleucine and valine in a 3g:1.5g:1.5g ratio. I personally just whole amino acids (see below), but they’re spendier, so if you want to go with BCAA’s you could use the supplement Recoverease, at about 4 capsules an hour. This is all the more true if you’re in a carbohydrate depleted state. Anyways, protein quality is typically determined based on the EAA profile of any given protein, and generally, animal and dairy products contain the highest percentage of EAAs, resulting in greater protein synthesis and post-workout recovery than vegetarian protein-matched control. But you don’t have to take a steak (or your pea and rice protein powder blend) out with you on your workouts. Most of the clients I coach are now simply popping 5 Kion Aminos tablets during their long workouts or races, and getting extremely fast absorbing EAA’s in the process. Some prefer mixing 5 grams of the sugar-free lime flavored powder into their water bottles. Both are fast, convenient, keep you in an anabolic state, and improve resistance to fatigue. EAAs are a nutritional supplement really anybody could benefit from and Kion Aminos delivers the scientifically validated ratios of EAAs for optimal absorption and utilization by your body. Glutamine plays a role in muscle glycogen synthesis and whole-body carbohydrate storage. This was first observed in a study in the American Journal of Physiology that found that an infusion of glutamine promoted a resynthesis of muscle glycogen stores that wasn’t observed in a control group infused with alanine plus glycine. An oral dose of glutamine at about 8 grams can promote storage of muscle glycogen to levels similar to consuming straight glucose, which is especially useful when you don’t have much glycogen (storage carbohdyrate) to go around due to a low carbohydrate diet. Glutamine supplementation has also been shown to enhance glucose production during exercise. Once again, if you’re carbohydrate restricted in your diet, this can be good news. There’s also some evidence that supplementation with glutamine may be effective for preventing immune suppression from strenuous exercise. To use glutamine properly, you’d just take 8g of regular old glutamine immediately after your workout (avoid the glutamine powders with artificial sweeteners and additives). In a study entitled “Potentiation of the actions of insulin by taurine”, the amino acid taurine was shown to have a carbohydrate sparing effect. Taurine may also amplify the effect of insulin, allowing for more efficient carbohydrate utilization. Research on taurine and caffeine containing beverages have shown that during prolonged endurance exercise, decreased heart rate and decreased catecholamine (stress hormones) are observed compared to using caffeine alone. Based on this, many folks will slam a Red Bull energy drink during a tough, long event. But I don’t recommend Red Bull, for a variety of reasons, including the presence of artificial sweeteners and citric acid. Instead, you can just do 2g of a taurine supplement, about 30-60 minutes prior to a tough or long exercise session in a relatively carbohydrate depleted state. 6. Medium Chain Triglyceride Oil or Coconut Oil. When you exercise while on a low carbohydrate diet, you’re going to be burning lots of fatty acids as a fuel, and the medium chain triglycerides (MCT‘s) that you’ll find in medium chain triglyceride oil and coconut oil can be a tremendous asset for keeping your energy levels high. The stuff is easy to use: just take 2-3 tablespoons of coconut oil or 2-3 doses of medium chain triglyceride oil about 30-60 minutes before you head out for a workout session. You could technically repeat this dosage every 2-3 hours during something like a long bike ride, but it can be logistically difficult and messy to carry oils (feel free to leave a comment below if you have a good solution for this). Although a low carbohydrate diet doesn’t massively deplete magnesium in the same way that it does sodium, upon switching to a low-carb diet (especially when combined with intense exercise) many people experience nighttime leg cramping and more muscle discomfort during exercise, and this is likely due to low magnesium. About 70% of people don’t get anywhere near enough magnesium, and if you’re leaching magnesium with a combination of your sweating and a low carbohydrate diet, you’re almost guaranteed to have some muscle twitching issues. Considering that over 300 enzymes require magnesium as a co-factor to make them work properly, it’s a smart move to add magnesium into a low carbohydrate diet. You can do about 300-500 milligrams of something like Natural Calm Magnesium before you go to bed at night (I find that this really helps me sleep better), and then 10-15 sprays of a topical magnesium on each leg immediately before your workout. Back off the total amount of magnesium you consume if you get loose stool. In the book “Art & Science of Low Carbohydrate Performance”, Jeff Volek and Steve Phinney mention a supplement called VESPA. VESPA is basically a naturally-occuring amino acid compound that is extracted from wasps. The theory behind this supplement is that wasps rely upon this amino acid to be able to travel extremely far distances on relatively low amounts of carbohydrate fuel, and a relatively large reliance upon storage body fat. While there’s not much evidence on VESPA, there’s plenty of anecdotes that it can give some benefit to people who are training in a low carbohydrate or ketogenic state. I personally have not noticed a difference with VESPA when I used it with no other fuel sources, but in coming months, I will be experimenting with a combination of VESPA, UCAN SuperStarch and Kion Aminos during my long and hard training sessions. If I can sustain high speed and power output for long periods of time (e.g. a 3 hour Hammer-fest on the bike that I would normally need higher amounts of sugar to fuel) without gastrointestinal distress, I may end up using this approach in racing. If you care to join me in that VESPA + UCAN SuperStarch + Kion Aminos experiment, just leave your comments below with what kind of results you get! Finally, based on a discussion I had with Mark Sisson at the Ancestral Health Symposium, we thought about forming an elite squad of low carbohydrate and ketogenic athletes who use very little commercial sugar sources during racing, and instead rely on fat and amino acids. The original thought was if you’re fast (i.e. 9-10 hour Ironman, 9.5-10.5 hour Iron-woman, ranked Crossfitter, sub-3 marathoner, etc.) and interested in being involved in that elite squad, we’d form one. But alas, the team never formed! We instead created a low carbohydrate training package that includes nutrition, forum support, a low carb primer and much more. You can check it out at LowCarbTriathlete.com. Enjoy! So you’re gearing up for a killer exercise session, or a big event like a marathon or a triathlon. And you’re eating a low carbohydrate diet, and not wanting to carbohydrate load or use lots of carbohydrate during the event. 30-60 minutes prior: 1g sodium (i.e. a chicken boullion cube), 5-10g BCAA’s or EAA’s, 2-3 tablespoons medium chain triglyceride oil or coconut oil, 2g taurine and 10-15 sprays topical magnesium on each limb. OK, that’s all I’ve got, so leave your low carb diet supplements questions, comments and feedback below, and also let me know the results of your hard and/or long low carbohydrate exercise sessions using this approach! Ben would flavored BCAA spike insulin levels if someone is doing a keto diet or would you recommend plain BCAA’s? I’ve read that artificial flavoring isn’t good for someone doing keto. Super old post, but I was wondering-what is your take on the potentiality of BCAAs (specifically Valine, which I’ve heard is glucogenic) kicking one out of Ketosis? Also, would the small amount of Sucralose found in a BCAA supplement (such as Scivation Xtend Watermelon) kick one out of Ketosis. I know this is an old thread, and your question about how to transport an MCT fuel such as coconut oil during an endurance race might have been solved, but what about mixing coconut oil, cocoa powder and a bit of stevia in a gel flask? I think I’m going to give that a try. In a couple episodes, one recent one, you mentioned that there was a study done on Taurine and cyclists doing a 40km or long TT effort. You said that the athletes that took the taurine performed better. I could not locate this study. Can you send me the study please? Hey Ben, this is a great list of supplement recommendations. I agree that for some people being on a low carb diet is difficult. I’m not a high-performance athlete, but I’ll be sure to take note of this list to improve my performance. Thanks! Coconut oil is available in 31ml sachets from iherb.com. Also available is same size chocolate flavor coconut butter – much better than carb laden gels! I’ve given Vespa a very serious try. I used the concentrate. They are pricey at $8.50 each. I used it as recommended. I Take one about an hour before race or workout and then take another every two hours into the workout or race. I actually liked the taste and experienced no stomach problems. Unfortunately, I experienced NO benefit whatsoever. No increased endurance and no decreased caloric needs as advertised. At least it does not cause any problems! I even experimented by seeing if it would postpone bonking. But again, no difference with or without Vespa. I still totally bonk about 3.5 hours into a hard trail run when just using water or just using water and Vespa. I suspect it is mostly a placebo effect. Belief and the power of the mind can do amazing things. If you are convinced it will help and are committed to it (especially considering the $ expensive buy in) and invested in it, you will convince yourself it works. Remember the bigger, more colorful and more expensive the placebo, the better they work. After burning through a couple hundred dollars experimenting with Vespa and experiencing no benefits, I doubt I will use it much. Thanks for the feedback Wendy, this is good stuff to know! Since I'm in menopause (51) keeping the fat off has really driven me to be more cautious with my eating. Since your interview "WheatBelly" I have stopped wheat by about 95%. That has helped a lot. I also have been on 1 packet of TianChi every morning for about 6mos now and swear that has allowed me greater recovery and energy from tough training and workouts. But, what I'd like to know or hear/read in your podcasts and posts (of which I am a HUGE fan) is what's most effective for plain jane bike racing. Like this post you don't really name the shorter races– Is that because these supplements are not effective for short efforts? Thanks for the great info that you put out! Im surprised that you mentioned Glutamine as I find that tends promote a very high level amount of water retention, which adds more weight, which reduces speed etc.. Your past posts on magnesium have been a lifesaver…thank you! That's a good point. 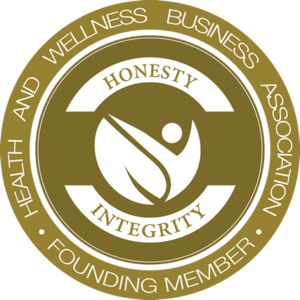 Some people get water retention, but some don't – sounds like you do! Thanks for putting this list together Ben. I'm a 44 yr old age grouper. I've been on a keto diet for the last 4 months or so. I finished my first 70.3 about a month ago. Following some of the advice on Mark Sisson's site, I increased carbs somewhat leading up to the race. I fueled most of my long workouts with MCT oil and/or super starch. I used a gel-flask to hold the MCT, and thought it worked out pretty well. Two 4-ounce gel flasks will hold roughly 1500 calories. At first I got some pretty bad GI distress from 3 oz of MCT before a workout. After that I started with about 1.5 oz, and then built up my tolerance from there. I agree on doing the race in keto. That was what I initially wanted to do. However, I couldn't find any reports or examples of specifically how to pull it off. Being my longest race ever, I felt like I needed to keep the number of complete unknowns somewhat manageable. The "train low, race high" philosophy from Mark's site was the closest I found for specifics on a long race. My only fuel on the the race course was MCT oil and super starch. I had a protein shake with whole-milk about an hour pre-race to kick it off. I also had a couple of hard boiled eggs and a banana about 2 hours before the race. I'm looking forward to seeing more research done on keto for endurance. Thanks! That's the dirty little secret. Nobody has done a race (fast) in keto. Exactly. All of the web-searchable low-carb and/or keto and/or crossfit endurance folks I've found are using their training to *complete* races, not win or even place. I'm not entirely convinced that winning races (where your heart rate will either be at 90-92% for hours on end, or it will be > 75% for MANY hours with occasional spikes above 90) is in alignment physiologically with a ketogenic state. I'm going to Wasatch 100 next week and one of the runners has done it 12 times using crossfit endurance and a paleo diet – but he finishes at the back of the pack. No doubt he is doing less long-term damage to his body with that technique, of course. I just am starting to think that redline performance has a necessary component of damage. It's a tradeoff in your lifetime health. Totally agree. I'm determined to see if it *is* possible though. And there is no doubt that Ironman shaves time off your life and your quality of life with age. But that's the trade-off! I want to try using the VESPA and UCAN and MASTER AMINO plan. Let me know. plus about FAST Ironman people… what about female (40) under 10:30? 10:34 in Hawaii in 2010 and who knows on Sunday IMC. The drinks are giving me headaches. I don't need to eat much anymore but I am trying Vega Sports pre drink, drink mix and gels for IMC. That would work Debbie. Email me to [email protected] with subject line "keto". hmmm….nevermind. I just came across Pocket Fuel on the web. That looks like high fat fuel in a small packet. Yes, that was what I was going to say. Pocket fuel is darn tasty BUT those are not medium chain triglycerides so technically some kind of coconut oil pack would be better. "Coconut oil shots" if tasty enough would be good business idea. You could grow it, and then sell to Nutiva. The other day I made some ridiculously delicious almond butter using the Emerald brand Cocoa Roast Dark Chocolate almonds and coconut oil. I've been eating some before my workouts in the morning. This got me thinking….Why can you not buy MCT oils, coconut oil or almond butters that come in individual packets like gels? Business idea? or too small of a niche market? Are headaches common? Dizzy? First week. Mark Allen blend from Infinit but now gives headaches. I’m an aspiring 40+ triathlete and have been following a low carb, ketogenic diet seriously since discovering Peter Attia’s site and diet advice a couple months ago. I’ve done low carb in the past to lose weight, but not during any serious training, just base building, low heart rate work. I used to have alot of trouble with cramping at night and the light headed feelings throughout the day until I read about how being in a ketogenic state alters the way your body handles sodium. Since then I’ve been supplementing my workouts with a cup of chicken broth about an hour before a workout and that has totally solved any problems I was having with tiredness, cramping and lightheadedness. If on a keto diet, I recommend the extra sodium at a minimum and may try to incorporate some cocnut oil in the future. Thanks for the great low carb diet and training advice. I just started running last year and decided earlier this year to take on a half-marathon. It is on Sept. 15. My running is going well and I believe I am ready. What should my running schedule be the last couple weeks prior to my race? Also, the week of the race which foods should I be sure to incorporate into my meal plan? Thanks for your advice! Becky, half marathon taper really varies based on your volume leading up and your experience. I'm assuming this is your first and volume is lower than if you were an advanced runner. So in this case, taper should be 6-8 days, and consist of about 40% of what you'd normally do and maintenance of intensity. Now here's the "shocker": nutrition doesn't change a bit assuming you are eating healthy. A half-marathon is barely long enough to deplete glycogen stores. If you want to do it low carb, just follow the instructions above. Otherwise, just have a gel haflway through.